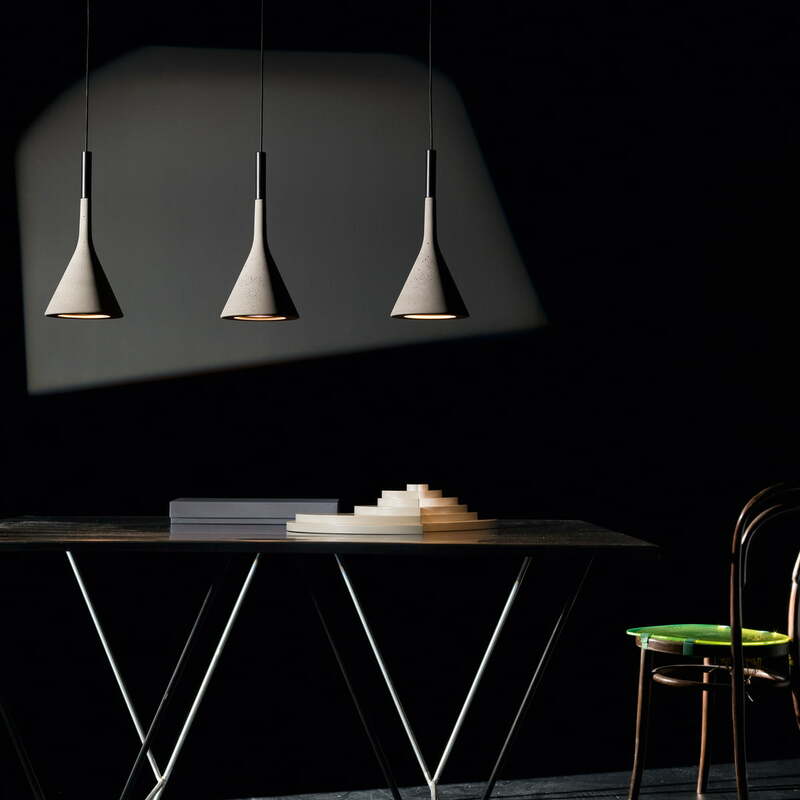 The Aplomb pendant lamp by Foscarini combines concrete with a formal yet also decorative design. 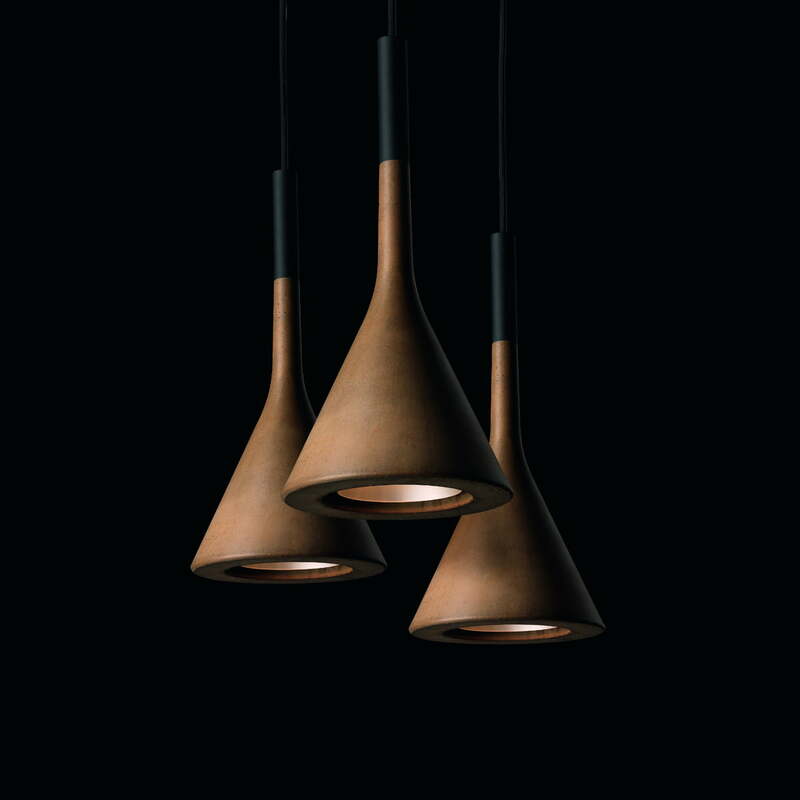 The designers LucidiPevere designed the lamp. 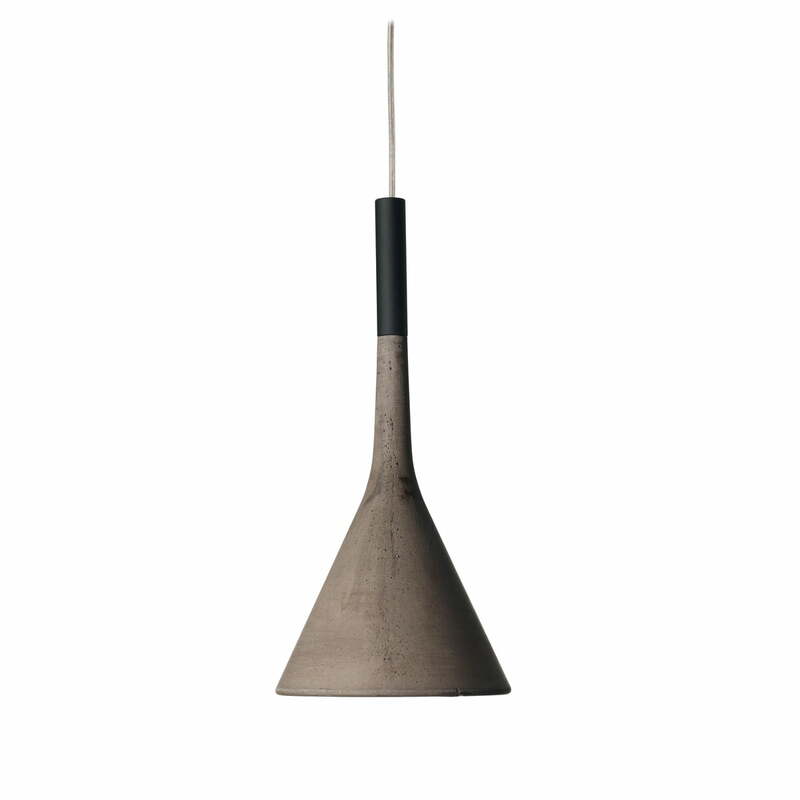 The elegant Aplomb concrete hanging lamp leaves a mark in any surroundings thanks to its simple appearance, from architectural to private rooms. The innovative and unusual use of concrete as a material gives the lamp a raw charm. 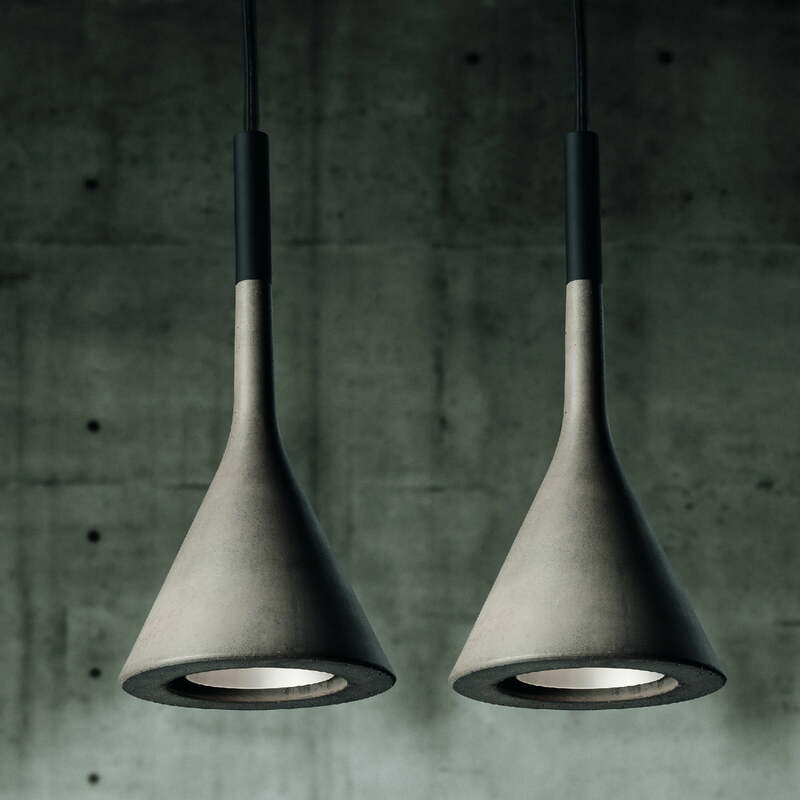 The unusual concrete hanging lamp enables direct and targeted illumination of the area lying beneath. 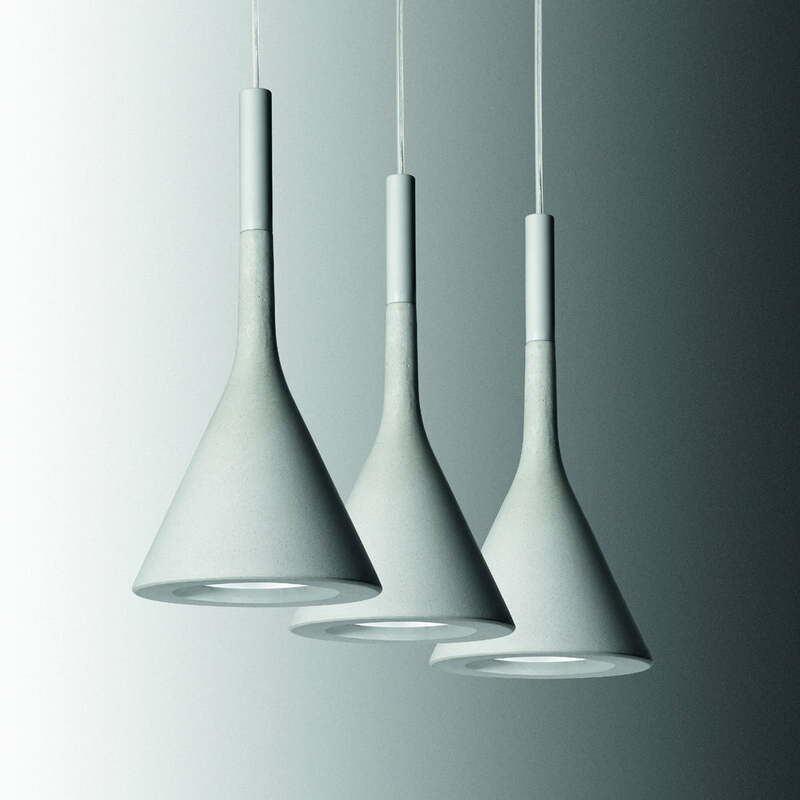 Thanks to the small dimensions, it can be used by itself or as part of a group. 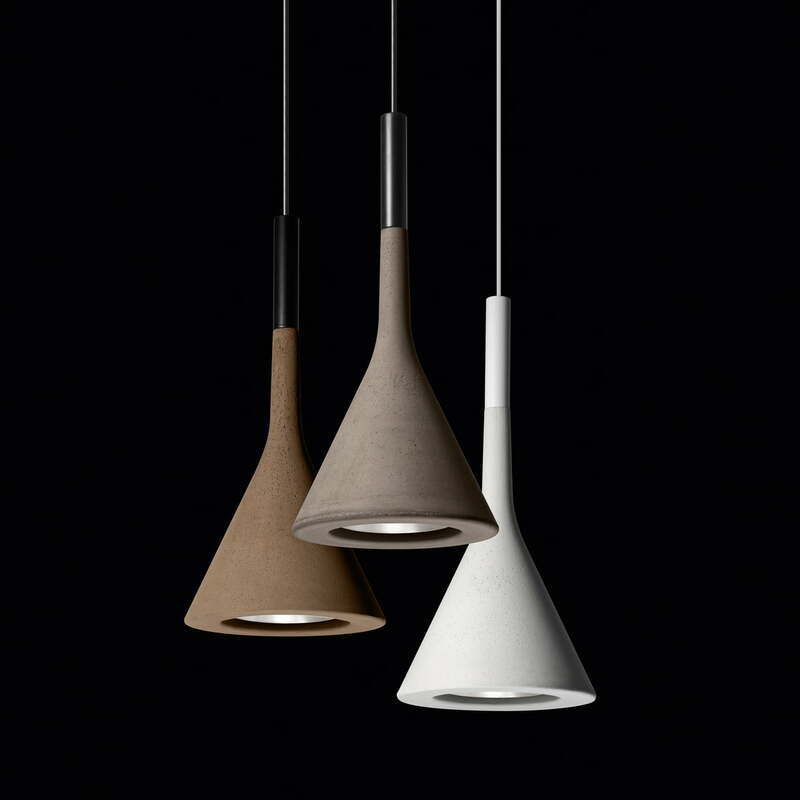 With the optionally available multiple ceiling canopies, you can arrange several Aplomb lamps behind each other or in a group formation suitable for the room.The Aplomb pendant lamp is available as Aplomb (halogen) with G9 socket and as Aplomb (LED) with GU10 socket, each available in three colours with cable lengths in 2m or 5m.The Aplomb lamp by Foscarini and LucidiPevere was voted ‘Lamp of the Year’ in 2011 for its symbiosis of concrete, which is unusual for lamps, and the restrained design.